Email has become an integral tool for business communications. However, using email to communicate among a group can be challenging. Here are some ideas for more effective communication and collaboration within a team or other UCI community. For small groups and short-term issues, a simple cc: list and “reply all” can get the job done, but when the number of recipients grows, communication becomes disjointed as people reply to different messages in a chain, respond to different drafts of a document, accidentally share comments intended for one recipient to the whole list, and other inefficiencies. Mailing lists (provided at UCI by the Mailman software) are a convenient method for communication among a large group or interest community. Lists can be configured to be for announcements only (list members see official postings but cannot reply), moderated (anyone can reply but the list administrator has to approve a reply before it is distributed), or open discussion. You can request a new mailman list on the OIT Web site. Administrators can build a list of recipients, or potential subscribers can add and remove themselves from a list as interests change. Recipients are spared a chain of “Please remove me from this list” email messages which can result from using cc: addressing. Beyond simple group communications, there are collaboration tools such as UCI Google Groups. With collaboration software, you don’t have to send email attachments around – teams can work on a single on-line copy of a document together, discussing ideas in email, or attaching comments directly to the document. Access to the document is tied to membership in the group, so as people join and leave the team, the ability to participate in discussions or change team documents follows in parallel. If you have questions or wish assistance in using group communication tools, please contact the OIT Help Desk. Microsoft will officially retire Windows XP next week. This means Microsoft will cease development of security patches for this product. 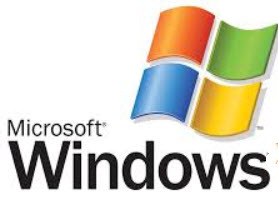 Systems running XP after April 8 will be open to attacks which present significant security risks to individual computers, to any network to which they are connected and to other computers on that network. In almost all cases, UCI systems and any others connecting to UCInet should be upgraded to Windows 7 or Windows 8 or should be removed from service. In the very few cases where business necessity dictates continued use of Windows XP on UCI systems, suitable measures should be taken to protect other systems and users of UCInet. This may involve configuring the XP system’s network connectivity or, in some cases, disconnecting it from the network altogether. Such measures will depend on the particular system’s situation. Owners should consult with their local computing support for departmental recommendations. Those wishing to migrate to a more current operating system can find a discussion of issues and options on OIT’s XP retirement web page. OIT’s Windows Services Group (WSG) provides Windows Server system administration and related application support. Here are some of WSG’s efforts over the last year. Remote administration refers to systems that allow for efficient distribution of standardized software and desktop configuration from a centralized location. WSG has worked with Desktop Support to transition remote administration from LANDesk to BigFix and Microsoft System Center resulting not only in flexible and efficient support for user desktops, but saving UCI tens of thousands of dollars a year. WSG has pioneered deployment of Microsoft Lync services for UCI. Lync is a hosted service that lets you connect with others through instant messaging (IM), video calls, and online meetings. Lync is integrated with Exchange so that (for example) free/busy information from your colleagues’ calendars is visible allowing you to see who among your collaborators is available through the work day or to schedule conferences. Microsoft released the latest version of its Windows operating system, Windows 8 (Win8), last fall. New computers are shipping with Win8, and devices are being developed which will exploit new features of Win8. Win8 introduces a new user interface (UI) called the Modern UI with a diverse collection of tools and utilities, and which is designed to work well with touch-screen devices such as tablets and phones. Win8 also includes the Desktop UI which is similar to the Windows 7 UI and supports all Windows 7 apps, such as Microsoft Office. Win8 features enhanced support for cloud computing and a new app store called the Microsoft Store. Should you use Windows 8? Check with your local computing support office for its recommendation. Whether you should use Win8 for university work depends on a number of factors, including the extent to which Win8 is supported within your department. 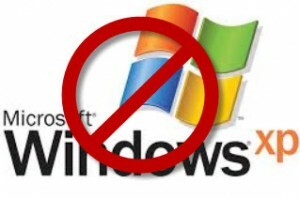 As with any new operating system, verify that existing software and peripherals will work with Win8. More information on Windows 8, including licensing options and links to official information from Microsoft, can be found on OIT’s Windows 8 page.